I feel like I have been working on the Marguerite herringbone quilt for so long, but I had to put it aside to take care of some other commitments. I posted about this quilt previously here and here. This is a special quilt made for a special friend. Her name is also Stacey (spelled with an "e"). I met her in college and we've had lots of fun times. Back then our friends called us Stacey (her) and Sta (like "stay" - me) to differentiate ourselves. Seems so silly now. Thank goodness "Sta" never stuck for me. Well, 14 years later my long distance friend was diagnosed with cancer. I wanted to do something for her to show my support and I knew that she was the kind of gal to appreciate handmade goodness, so I decided to make her this quilt. I would consider her to be a girly-girl so between the floral pattern of the Marguerite line and the sweet colors, I felt it was a good fit. Like I mentioned in a previous post, I used the Love Song pattern but did not include the vertical white stripes in between the columns. Here are a few shots of the front. 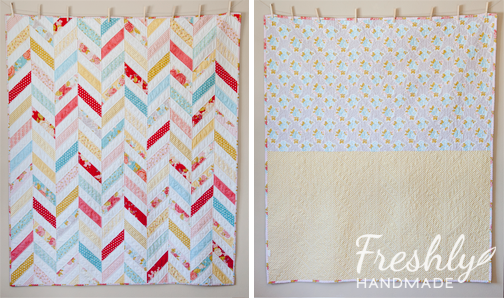 I paired all the prints from the Marguerite fat quarter bundle with a Kona white cotton. For the back, I used two large print pieces from the Marguerite line which includes a gray floral and the "green" (more like gold) diagonal stripe. 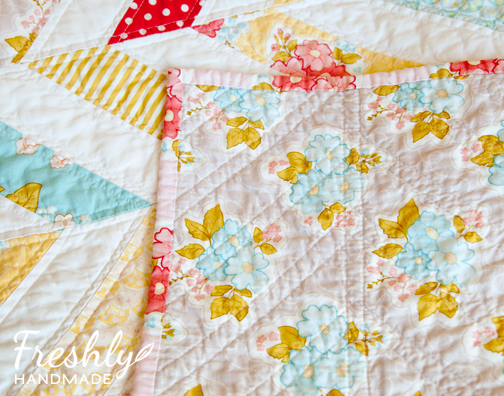 For the binding, I used the pink floral from the line. I quilted it by stitching on both sides of every seam. It turned out to be 57" x 66.5". Here she is all ready to be shipped to my sweet friend. 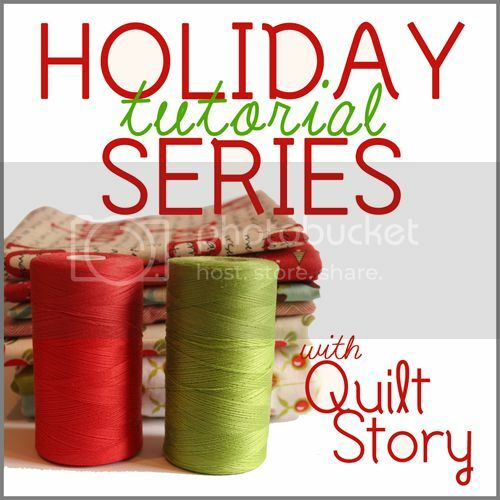 I do have some leftovers from the fat quarter bundle that I am dying to use. 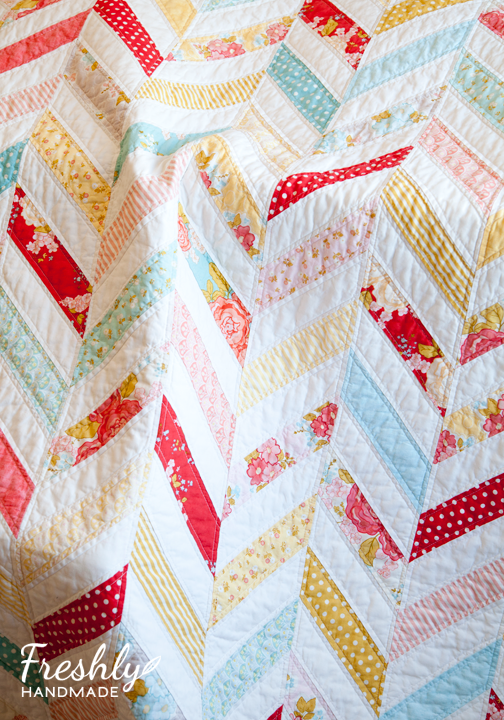 I have to say that this is probably my most favorite quilt of any I have made so far. 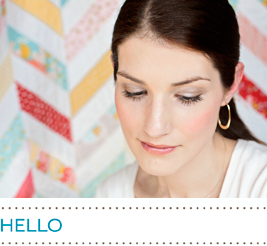 I am linked up to Amanda Jean at Crazy Mom Quilts for Finish It Up Friday. 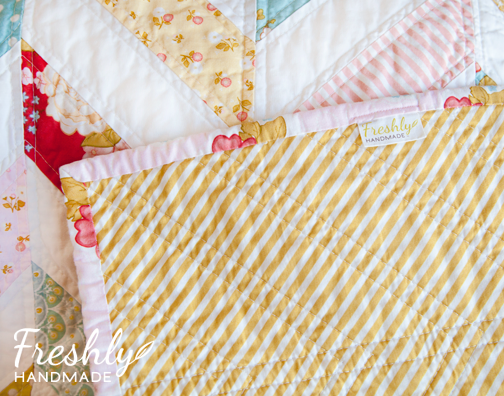 Your quilt is beautiful and such a beautiful gift for your friend!! Great blog, I found you via instagram! Such pretty, soft colors as well as being a beautiful design. I'm sure it will bring your friend much comfort. This quilt is incredible. What a sweet gift for your friend! Beautiful..I know she will love it! Congratulations on wonderful finish! Your friend will be delighted! These colors make for a really refreshing combination :) Beautiful job! 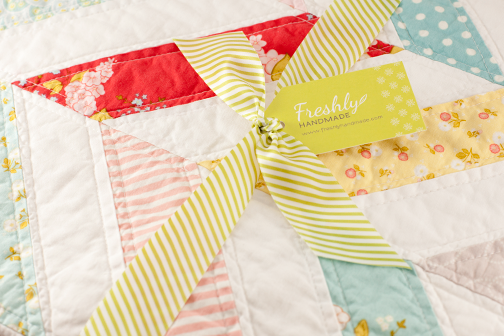 Beautiful quilt for your friend! Sending healing thoughts and prayers her way. Can I ask you what pattern you used? When I click on the link for the pattern the site is no longer available. 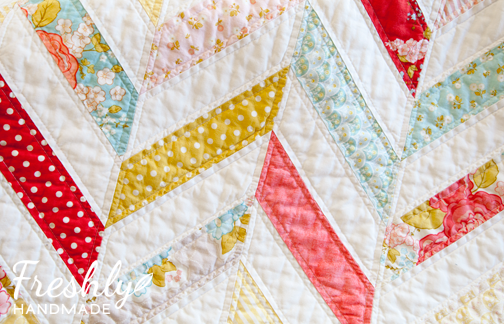 Love your quilt and the beautiful colors! Same question as David. What pattern did you use? The link isn't working for me either! I would love to have this pattern! 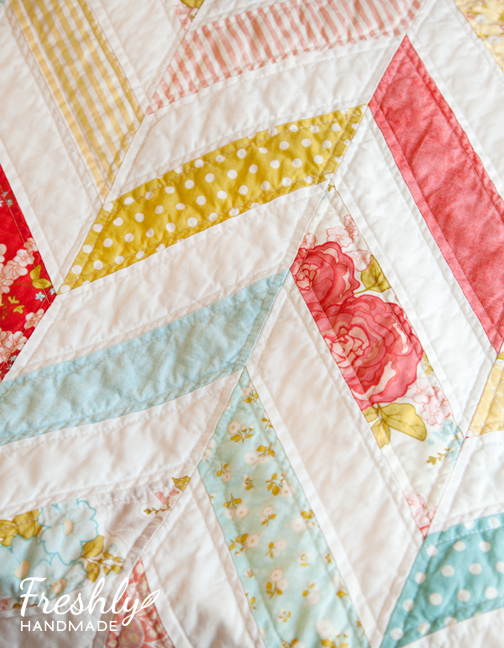 Quilt is beautiful!!! I believe this is the pattern.